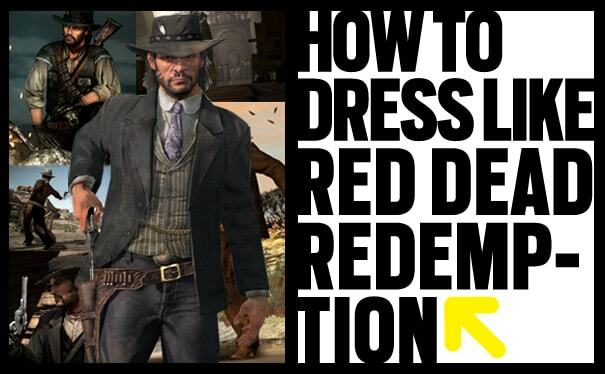 How To Dress Like "Red Dead Redemption"
So for a solid week now, every time we get on Xbox we see 80% of our friends list playing Red Dead Redemption. For all the naysaying, Rockstar fucked around and put out a milestone title (currently rocking a 95 on Metacritic, for whatever that's worth). And yeah, we like hog-tying prostitutes and uppercutting horses as much as these stunted sickos, but we were also kinda struck by how awesome Wild West style was, no Kool Moe Dee. Stetsons and neckerchiefs (ahahahaha, "neckerchiefs") are all far too fresh to be stuck on a TV screen, so take heed of our expert hints and pull your "renegade lawman" look together now. Yippee-kay-yay, hookerlovers!